Great place to pick up some great bargains from some great brands! There is plenty to see and do in Salford Quays, meaning that this is a place that can actually be enjoyed by the whole family, whether on a short weekend break or slightly longer holiday. 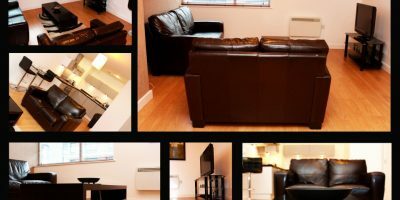 Rotana serviced apartments have studio apartments as well as 1 and 2 bedroom apartments available in Salford Quays all year around. 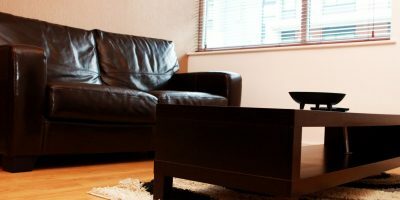 Our rates are very competitive and in addition to the services that fall under the umbrella of our serviced apartments, we can also offer weekly housekeeping as well as collection and drop off for those arriving or leaving via the airport. 24 hour emergency call out is also available for that extra little bit of assurance while you are away from home. 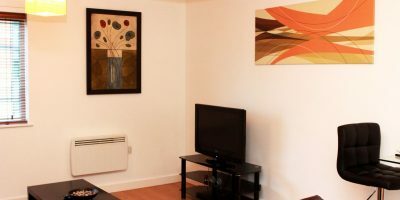 With Manchester city centre only a few minutes away, there is never very far to travel, both by car or the excellent public transport system, if you want to experience all that the city has to offer and it offers plenty! As well as being a hub of business activity, Salford Quays has changed so much during recent years that it really does offer a little something for everyone. There are plenty of places to eat, no shortage of shops and a bit of culture too! So, plenty within reach of Manchester and Salford Quays but if you are only in town for a few days you might want to sample all the things to do and see right on your doorstep. If it’s shopping you are looking for, then really, you are going to love it in Manchester! On the Quays you have lots of shops but you may be particularly taken by The Lowry Outlet Mall. Full of familiar names with more than 80 outlets in total, this is a great place to pick up some great bargains from some great brands! Of course there is also great shopping in Manchester itself with the famous Arndale Centre as well as the Trafford Centre. Also in the Lowry Outlet Mall are plenty of places to have a bite to eat as well as cold and hot drinks to give you a bit more fuel for more shopping. If you want to relax, why not catch a film at the multiplex cinema. Just 10 minutes walk from the Salford Quays serviced apartments is “The Lowry” theatre building (which is a work of art in itself) and here can you check out theatre performances and galleries. Also just 10 minutes walk from the apartments in Salford Quays is the fantastic museum of science and industry where there are always exhibitions that will entertain the whole family. Within a 15 minute walk of the apartments you can reach the Salford Water Sports Centre where you can participate in all sorts of water sports such as sailing, windsurfing and kayaking. Sports and music fans are also well catered for in Manchester, with a whole host of venues for you to see live music such as the MEN arena and G-Mex centre (both 15 min tram ride from apartments) and of course there are the Old Trafford and Etihad Stadiums, the homes of Manchester United and Manchester City respectively. Other attractions you can reach with just a short tram ride are the Manchester Eye in Exchange Square, Piccadilly Gardens, Deansgate Locks and The Printworks which is a fabulous entertainment centre in the heart of the city. So, your stay at one of the Rotana serviced apartments can be as relaxing or as energetic as you like! 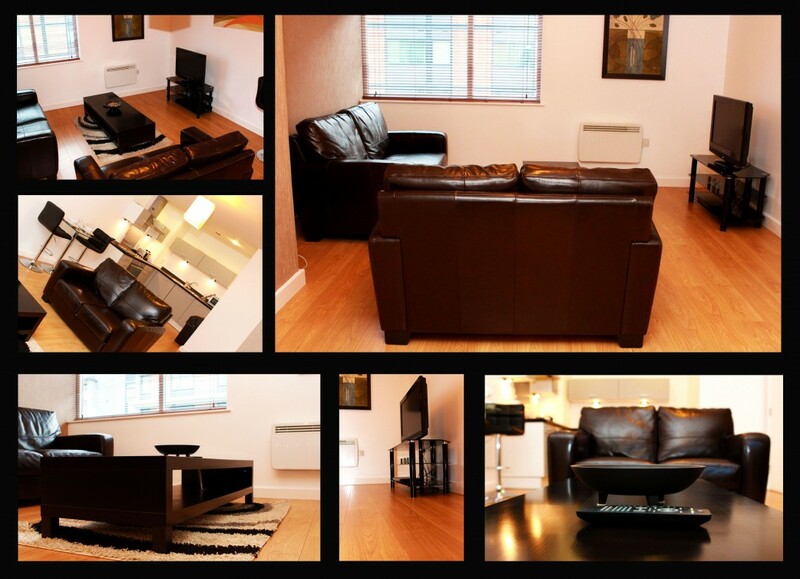 The apartment was superb, very clean and spacious with a view over Salford quays to Old Trafford Football Ground. Good size apartment, well presented with amazing views. Tram station right outside the apartment to get into city centre.